Undertale is a prime example of what videogames are capable of as a storytelling medium. How do you talk about a game like Undertale without spoiling it? Truly, it is a question that has plagued humankind since the game was released a couple of months ago. Since its release on the 15th of September, the game has become somewhat of a phenomenon. It’s hard to go to anywhere gaming-related these days and not hear about this game. But why is the game so special? Why is it so difficult to talk about the game without spoiling it? What sets it apart from the mountains of story-driven indie games that line Steam’s walls? Everything, as it turns out. Kickstarted in 2013 by Toby Fox, a guy who earned his fame with a Halloween-themed ROM hack for Earthbound in 2009 and for producing various music for the (in)famous web-comic Homestuck, the game has been heralded as, amongst other things, “amazing”, “game of the year, all years”, “some game with skeletons”, and “homestuck if it was good”. I discovered the game through tumblr, and it took me a fair while to find the time for it. After playing it for nearly 50 hours, I can say for absolute certain that this is a strong contender for my game of the year. To talk about Undertale is not to just gush about its endless intricacies of plot, but to realise that it’s the best example of videogame storytelling in a very long time (or, indeed, of all time). Games like To The Moon and Papers, Please have presented great stories in videogames before, but they’ve never truly used the medium of games in the way that Undertale does. If Undertale was anything but a videogame, it would simply not work. You play as a “fallen human”, a child who has stumbled into the Underworld; the realm of Monsters. This child must find its way back to the surface, or be stuck in this dark place forever. Only it’s…not so dark. In fact, the Underworld is quite similar to our own human world to the point of being a mirror. Case in point, one of the game’s most popular characters is a cynical fast food worker with dreams of being an actor who, in his own words, is 19 years old but has already wasted his entire life. Brutal stuff. This is just one of the game’s many attempts to blur the line between human morals and those of monsters, and it makes it much more difficult to even think of harming them. The gameplay itself is put forward rather elequently in the game’s advertising; it is a game where “nobody has to get hurt”. The inspiration from classic JRPGs like Earthbound or SNES-era Final Fantasy is obvious (The game even runs in a SNES resolution, but a fullscreen option is thankfully available as well and is easily toggled), and the turn-based combat system reflects this. Players take their turn to perform an action, and the monsters then attack you with a stylised ‘Bullet Hell’-like segment which you have to dodge, with each monster or boss receiving a unique series of attack patterns and visual style. In addition, if you’re facing multiple monsters in the same encounter their attacks will combine to create a new pattern. This allows the game to have a skill ceiling unlike other turn-based RPGs of the same nature, and makes the battles less boring. The player has four options in the game’s random encounters; ‘Fight’, ‘Act’, ‘Item’, and ‘Mercy’. These options are very self-explantory, especially if you’re a veteran of the genre. Don’t you know that it’s the polite thing to do? This game provides all the right answers. Even the save points are snarky. I think this picture is its own caption. Select ‘Fight’ to attack the monster, then complete a timing exercise to determine the amount of damage you inflict. This is the simplest way to get past monsters, but killing monsters may not be what you want to do. Select ‘Act’ to gain access to a list of non-violent options that change depending on which monster you’re up against, in order to work toward being able to ‘Spare’ them. It’s here that the game’s writing truly shines; these monsters all exhibit varying personalities, and they’re all fascinating and sometimes hilarious. A floating centaur with a mermaid tale that is defeated by making it flex off of the screen, a snide creature that is obsessed with its icy hat, a walking volcano that believes that its lava hugs help people, and a tsundere aeroplane straight out of an anime. Selecting ‘Item’ lets you use items that you pick up along the way like hot dogs, hot cats, ciders made out of spiders, and so much more. If you’ve made friends with a monster through the ‘Act’ menu, you can ‘Spare’ them to…spare them. 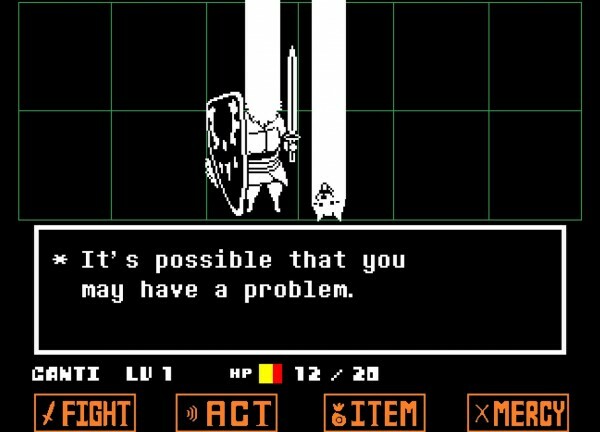 Normally, random encounters are frustrating, but Undertale makes them enjoyable like no other RPG has done before. The boss battles, too, are all played in a different way. This adds to the game’s sheer charm, and at about 3-4 hours, playthroughs are short but sweet. If you’re worried about that playtime, don’t. The game as multiple endings, and each one nearly doubles the length of a playthrough. The game’s soundtrack, on another note, is perfect. Undertale channels the spirits of DOS and SNES sound to bring you music that sounds like Ace Attorney in parts, To The Moon in others, and everything in between. You’ll want to listen to this OST a lot, so do yourself a favour and grab the Soundtrack edition for ten dollars extra. 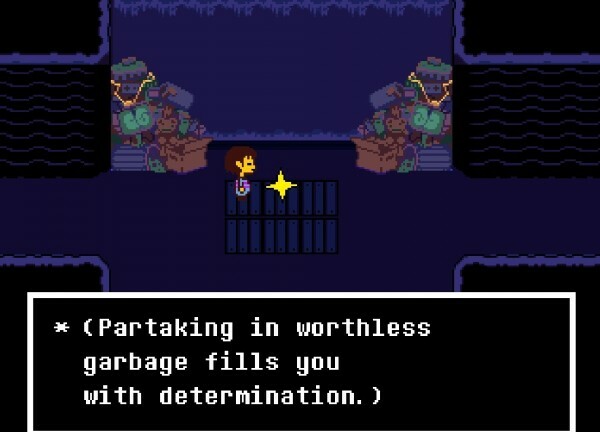 Undertale also has its fair share of great supporting characters as well that are met along the player’s journey. Each of them could be a protagonist, they’re that incredibly unique: Papyrus, a goofy skeleton that’s obsessed with capturing a human so he can be made a Royal Guardsman. Sans, a pun-loving laid-back skeleton and Papyrus’ “annoying” brother, who acts as the player’s guide (both of them are named after the two least-loved fonts in the world, and they each use these fonts in their text boxes). Toriel, a motherly goat lady who would only hurt a fly if it landed on you. The design and writing for these characters, and every other character, is superb. I never felt like I wanted to skip their dialogue or miss their sidequests. You’ll even find yourselves getting emotionally attached to these characters as you learn more about them, and even relate to them! You feel anger when a character is betrayed. You feel happy when you help bring them together, or watch- them learn from their mistakes. And you’ll feel incredibly guilty if you kill them…and the game doesn’t forget. The game never forgets. 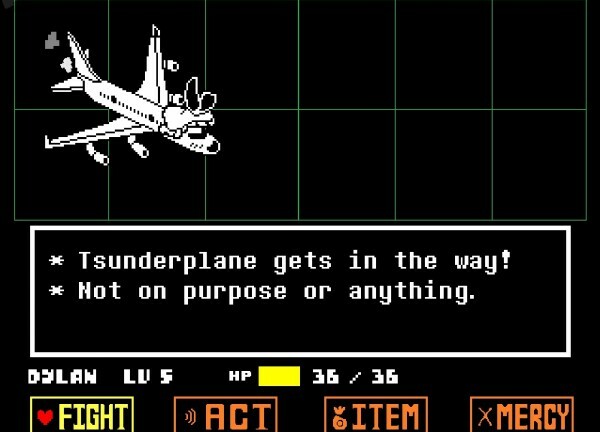 Undertale is not afraid to break the player’s comfort zone to make its point. 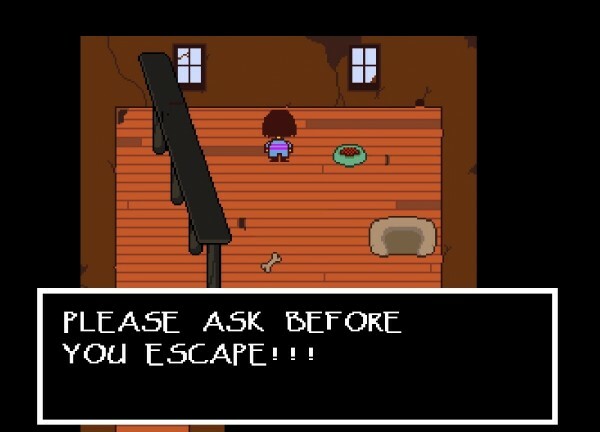 The game doesn’t shy away from the fact that it’s a self-contained world in a video game, either, and even uses threats against your save file to make you feel helpless. The latter half of the game uses the very fact that it’s a videogame to provide conflict in its story, in a way that no other game has done before. Its multiple endings each play with the game’s programming in unique and potentially mind-breaking ways, which involves you superbly in the twists and turns of the game’s story. This breaking of the game never feels forced, or gimmicky, either: It’s presented in such a natural way that it’s inseparable from the logic of the world. If you get what many players consider the “good” ending, the game will even recommend against resetting the save file at the end and suggests that you let the characters live their lives. And you won’t want to. However, this ending is the only one that lets you truly reset the game at the end. Every other method of playing through the game will leave a permanent mark on your future saves, and the game will not pull punches in bringing these skeletons out of your closet. Each playthrough is inspired by the last one, taking elements from it and subtly placing them in your next interpretation of the story. As mentioned before, the game never forgets. 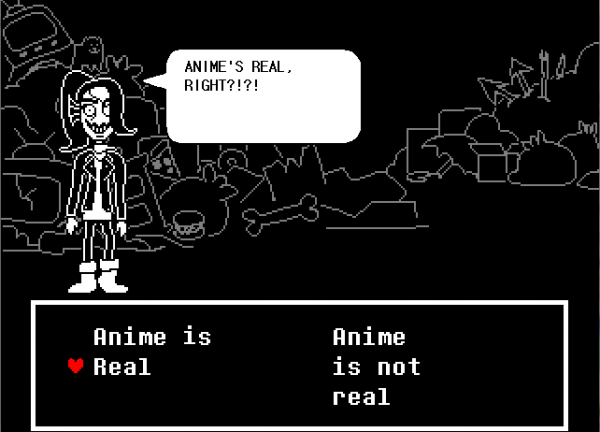 It’s this brilliant use of the medium of videogames that makes Undertale the masterpiece that it is. I don’t “need” to pet, I can quit any time I want! I truly wish that I could talk for eons about how brilliant Undertale‘s use of its own .exe file is. But, alas, it truly is a game that you have to play for yourself. Let’s just say that it’s on-par with Papers, Please, a game I consider artistically perfect. Undertale could and should be presented as the reason that we play video games, and is an example that should be followed if we are to truly be able to present games as a storytelling medium on-par with the juggernauts of film and literature.